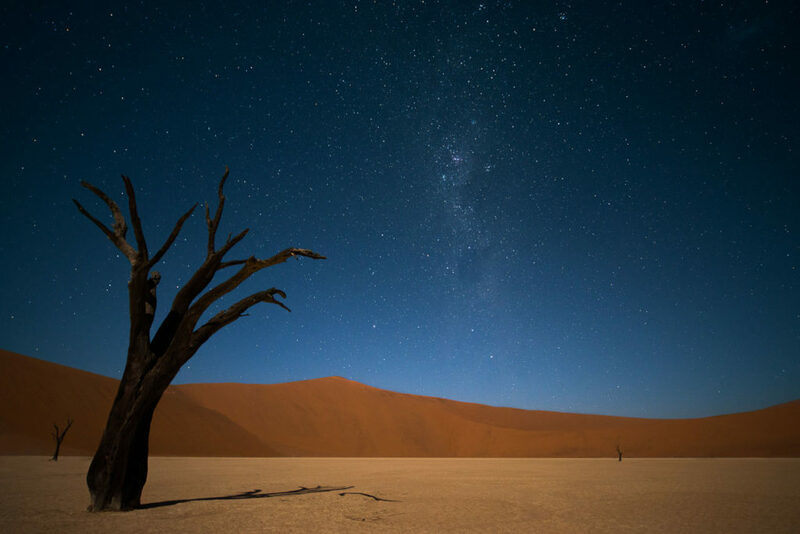 The skeleton of an acacia tree in Deadvlei is illuminated by the full moon’s light. Despite the moonlight, it was still possible to see the starry sky: the soft light, the shadow of the acacia and the stars created a suspended atmosphere. The remaining skeletons of acacias are believed to have died around 700 – 900 years ago. They are now black because the intense sun has scorched them; though not petrified, the wood does not decompose thanks to the extremely dry climate.